Landing at Ellis Island. From “Quarantine Sketches.” Click to enlarge. Hundreds of thousands—men, women, and children—pass over, or are detained at, the Doorstep of America every year. In this pamphlet are illustrated the various precautions which the Government takes to insure desirable material for future citizenship. 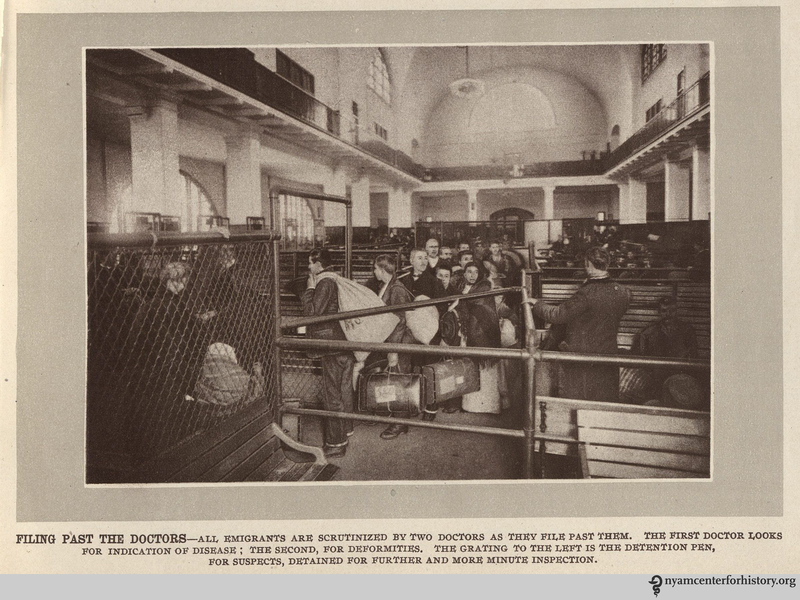 One such precaution described in the pamphlet was the two-day quarantine of all passengers arriving from Cuba between May 15 and October 1, an effort to prevent the spread of yellow fever in the United States. But for all other steerage passengers, the procedure was different. 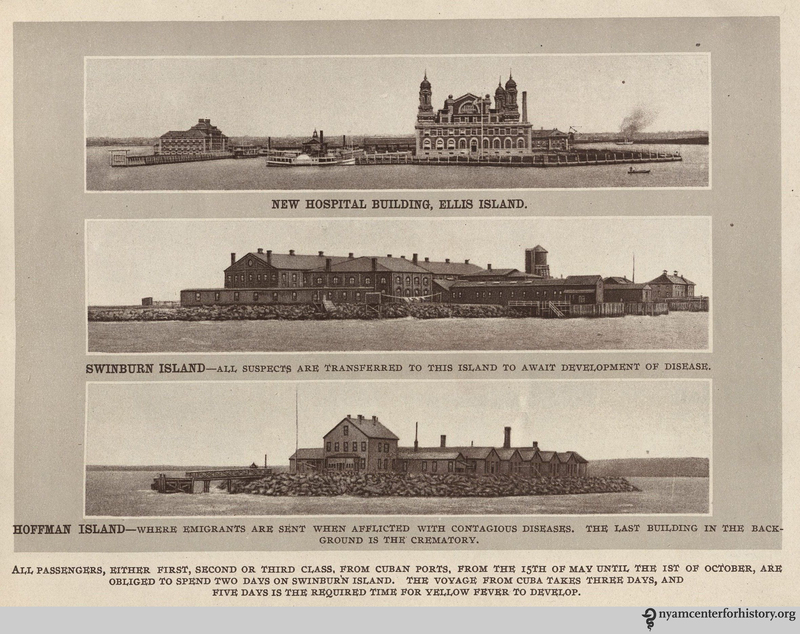 The hospital at Ellis Island. From “Quarantine Sketches.” Click to enlarge. From Mullan EH. 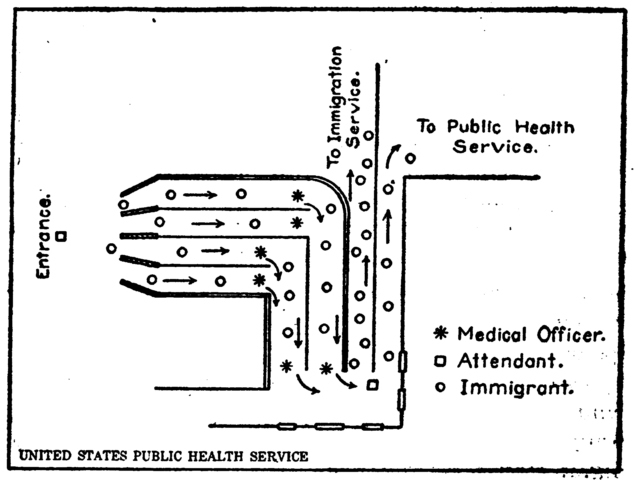 “Mental examination of immigrants: Administration and Line Inspection at Ellis Island.” Public Health Reports. 1917; 32(20): 734. Click to enlarge. Filing past the doctors. From “Quarantine Sketches.” Click to enlarge. Detention pen for immigrants awaiting deportation. From “Quarantine Sketches.” Click to enlarge. Today, you can visit Ellis Island without going through a Line Inspection. You can even book a Hard Hat Tour to see the previously closed-to-the-public hospital complex. Can’t make the trip? Take a look at Hyperallergic’s recent Ellis Island hospital portraits. 1. Landed on Ellis Island – new immigration buildings opened yesterday. A rosy-cheeked Irish girl the first registered — Room enough for all arrivals — Only railroad people find fault. New York Times. http://query.nytimes.com/mem/archive-free/pdf?res=9802E3D8163BEE33A25751C0A9679C94639ED7CF. Published January 2, 1892. Accessed November 19, 2014. 2. National Parks of New York Harbor Conservancy. Ellis Island. Available at: http://www.nyharborparks.org/visit/elis-faq.html. Accessed November 24, 2014. 3. Mullan EH. 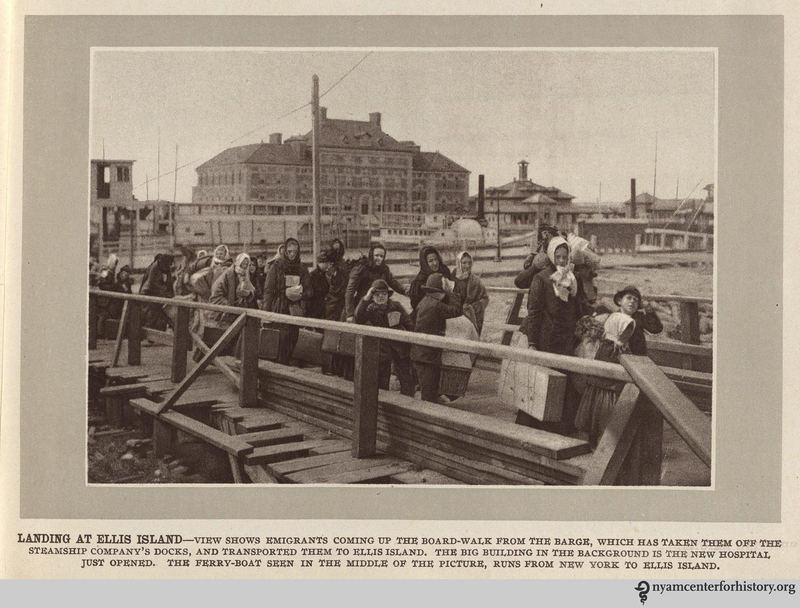 Mental examination of immigrants: Administration and Line Inspection at Ellis Island. Public Health Reports. 1917;32(20):733–746. doi:10.2307/4574515. Available at http://www.ncbi.nlm.nih.gov/pmc/articles/PMC1999723/. Accessed November 21, 2014. 4. 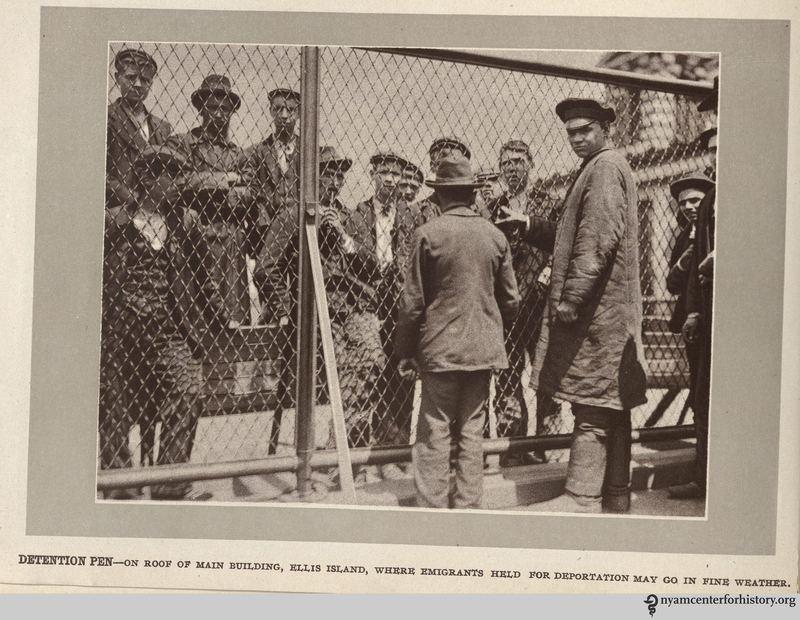 Yew E. Medical inspection of immigrants at Ellis Island, 1891-1924. Bull N Y Acad Med. 1980;56(5):488–510. Available at: http://www.pubmedcentral.nih.gov/articlerender.fcgi?artid=1805119&tool=pmcentrez&rendertype=abstract. Accessed November 21, 2014. 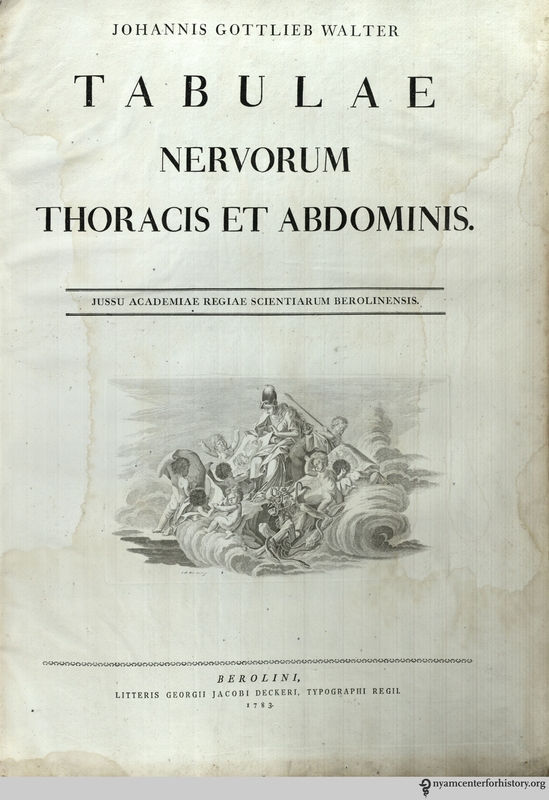 Some of the most engaging materials in the cookery collection of the New York Academy of Medicine’s Library are late 19th and early 20th century advertising pamphlets. Small books of recipes, histories of coffee, tea, spices, and other foods, and brochures touting the health benefits of one product or another offer a window into the changing tastes of the American public, new innovations in the mass production of foods, and the development of mass market advertising. A number of these pamphlets came to us as part of NYAM Fellow Margaret Barclay Wilson’s collection of books on food and cookery, donated to the library in 1929. 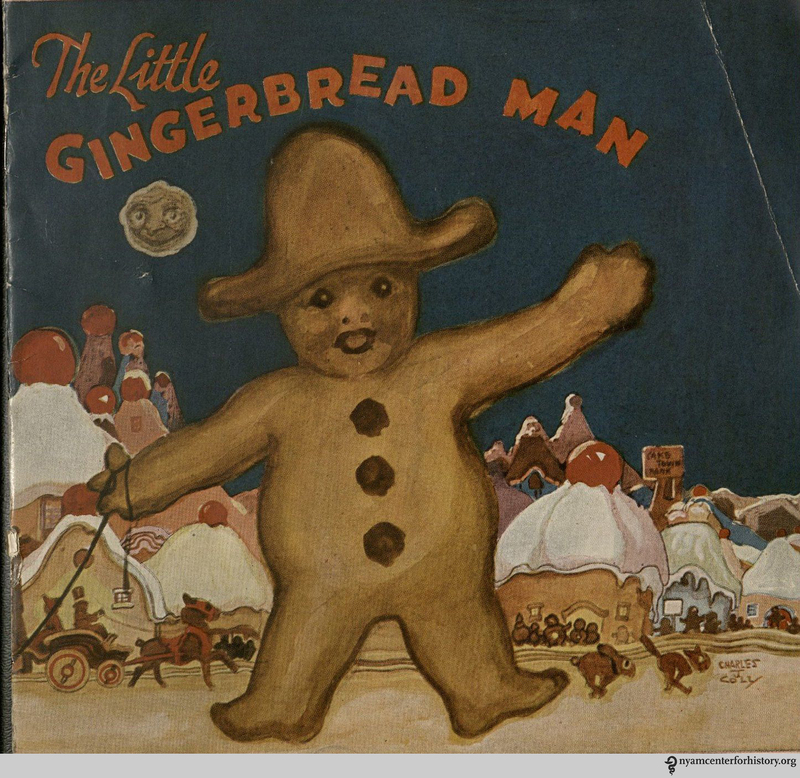 One charming example is The Little Gingerbread Man, published in 1923 by the Royal Baking Powder Company, located at 108 East 42nd Street in New York. Written in rhyme, the pamphlet tells the story of the land of Jalapomp, where baking has been declared illegal because of the ineptitude of the cook. Poor Princess Posy, whose birthday is approaching, worries that she won’t have a cake. Alerted to the sad state of affairs by a little Flour Fairy, the Queen of Flour Folk sends Johnny Gingerbread and his friends off in a chocolate plane to save the day. Toting a tin of Royal Baking Powder and a copy of the New Royal Cook Book for the cook, the fragrant baked treats convince the king that baking powder and new recipes will set things right before they head back home to Cookery Land. A tin of Royal Baking Powder features prominently in most of the pamphlet’s illustrations, and the cookbook appears as well. You, too, can try your hand at making some of the Royal treats, as almost every page also contains a recipe for baked goods, including one for gingerbread men. Readers of the pamphlet (or their mothers, since the book itself was clearly meant for children) could obtain free copies of the New Royal Cook Book by writing to the company as instructed on the final page of the story. Although she is uncredited, the author of the pamphlet was probably Ruth Plumly Thompson, who wrote more than 20 volumes of the Oz series, a continuation the stories told in L. Frank Baum’s The Wonderful Wizard of Oz and its many sequels. 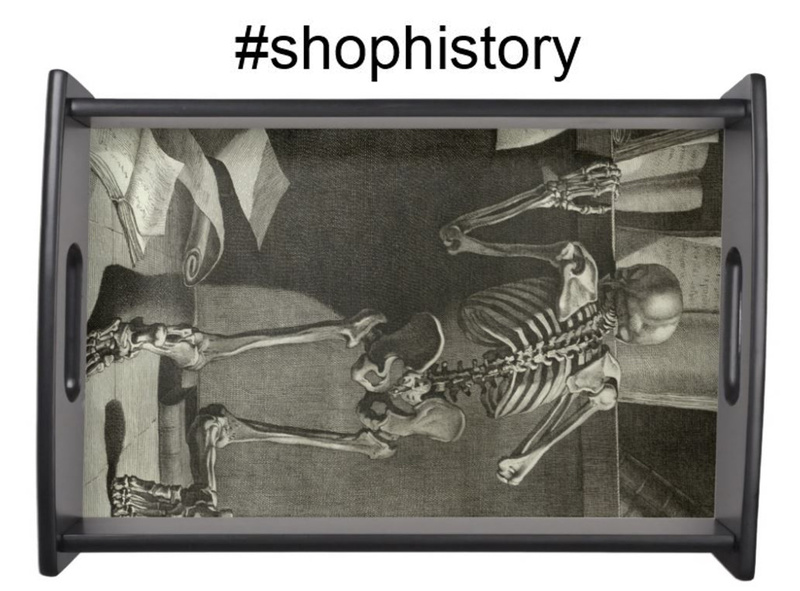 The illustrations are attributed to Charles J. Coll. Saturday marks the 424th anniversary of the death of Ambroise Paré (1510–1590). Le Petit Lorrain. From our 1633 edition of Les oeuvres d’Ambroise Paré. 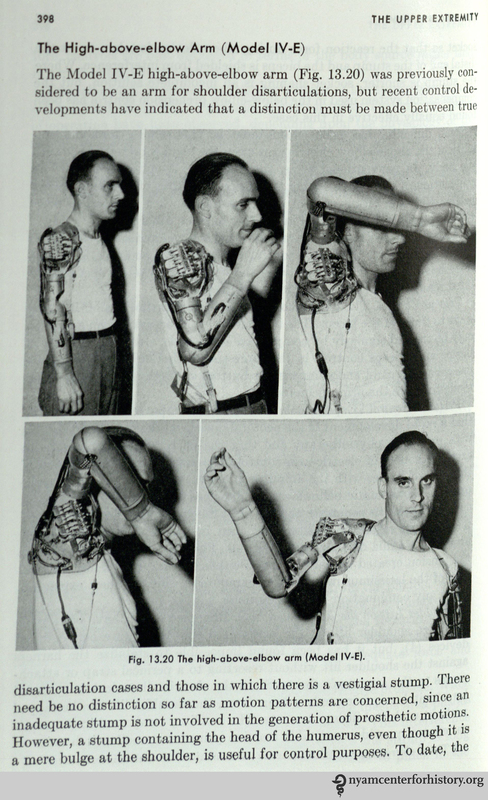 Artificial arm in use. From our 1633 edition of Les oeuvres d’Ambroise Paré. Paré’s above-the-knee prosthetic. From our 1633 edition of Les oeuvres d’Ambroise Paré. 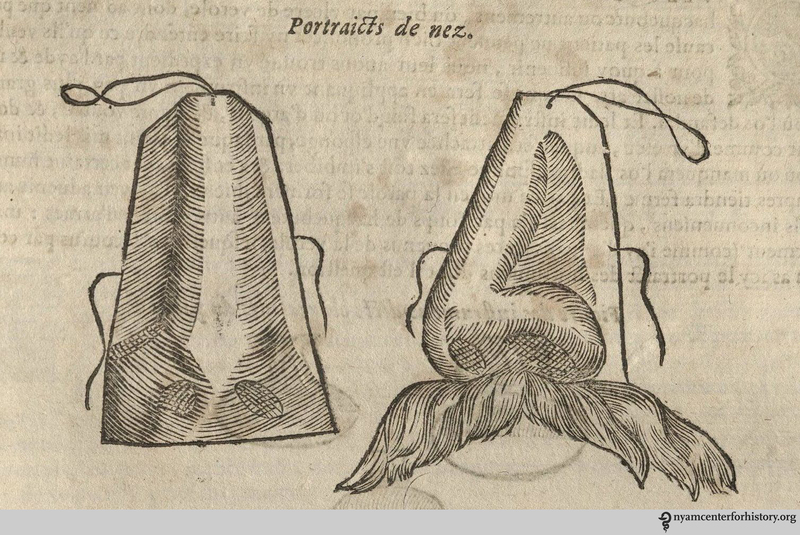 Artificial noses. From our 1633 edition of Les oeuvres d’Ambroise Paré. 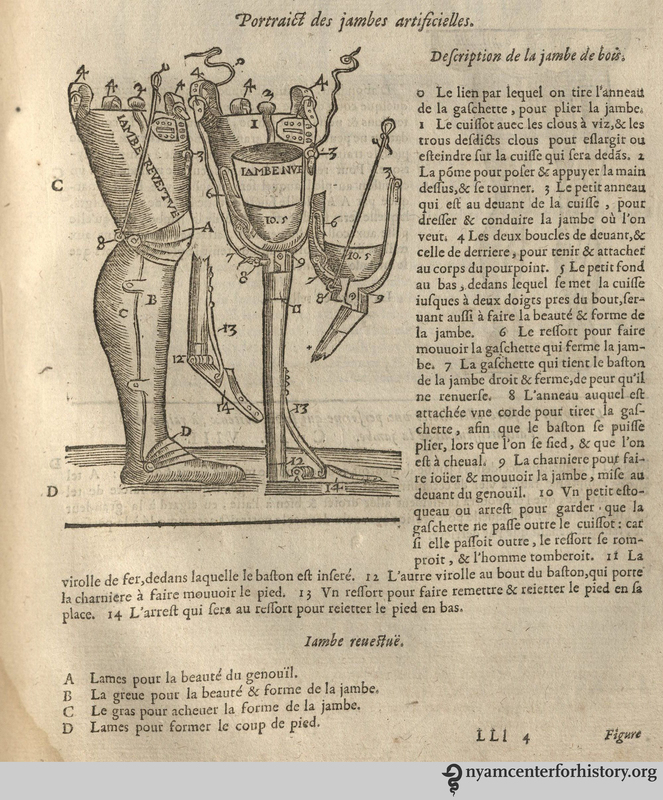 To celebrate Paré and his contribution to the field, we are featuring images of prosthetic devices throughout the centuries from items in our collection. Dutch surgeon Pieter Adriaanszoon Verduyn (ca. 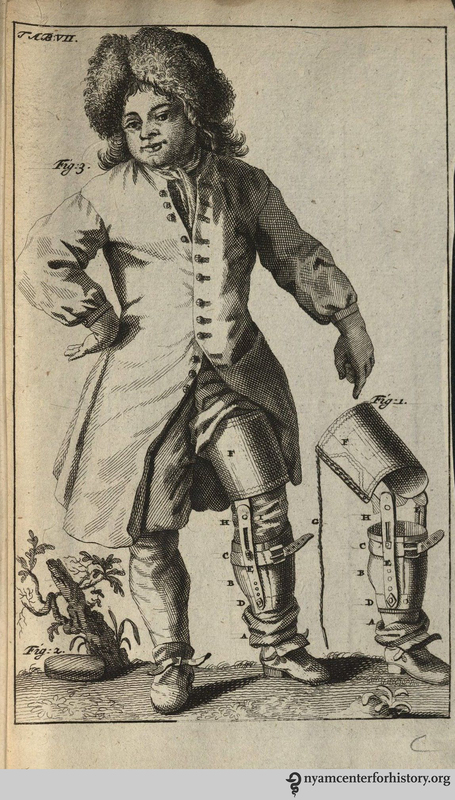 1625–1700) developed the first below-knee prosthetic that allowed for knee movement and developed one of the first “true flap amputations,”3 as described in his Dissertatio epistolaris de nova artuum decurtandorum ratione of 1696. Verduyn’s below-knee prosthetic. Table VII in Dissertatio epistolaris de nova artuum decurtandorum ratione, 1696. 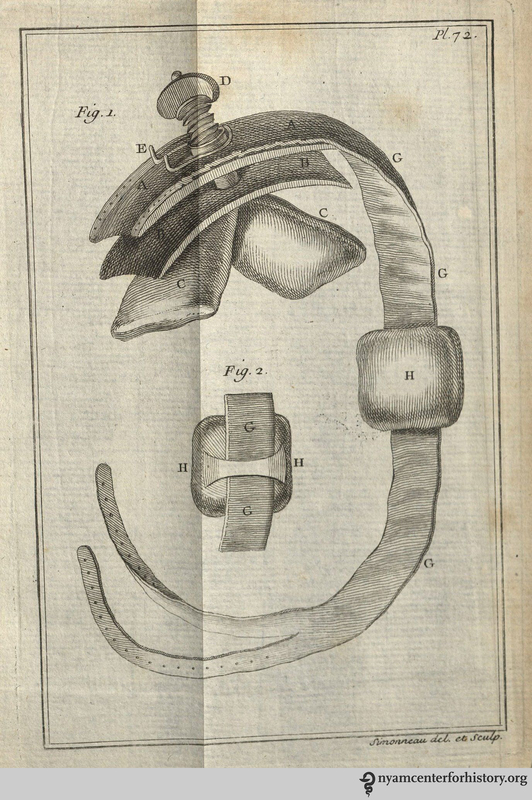 In 1718, French surgeon Jean-Louis Petit (1674–1750) developed an effective tourniquet, allowing for more successful control of bleeding during and after amputation.3 He wrote about his achievement in Traité des maladies chirurgicales, et des opérations qui leur conviennent. Petit’s tourniquet. Plate 72 of Traité des maladies chirurgicales, et des opérations qui leur conviennent, 1774 edition. 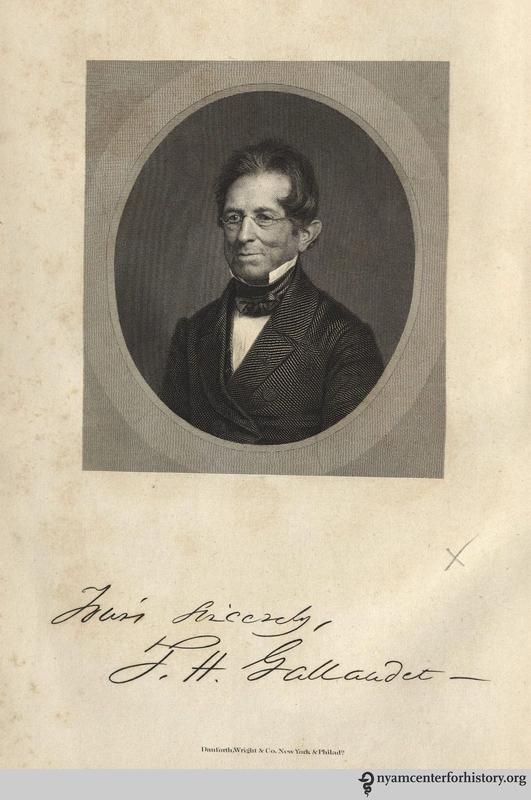 Pages one and two of Douglas Bly’s “A New and Important Invention,” 1862. Click to enlarge. Amputated, in stockings, and pants rolled up to show the artificials. In Douglas Bly, “A New and Important Invention,” 1862, p. 24. Click to enlarge. Henry Heather Bigg published Artificial Limbs and Amputations in London in 1885, almost exactly thirty years after the Crimean War (1853–1856). Our library holds the 1889 edition. Bigg illustrates advances he witnessed at the Royal Hospital at Netley. Regulation box leg and regulation boot. In Henry Heather Bigg, Artificial Limbs and Amputations, 1889, p. 110 and 111. Click to enlarge. Regulation common stump arms. 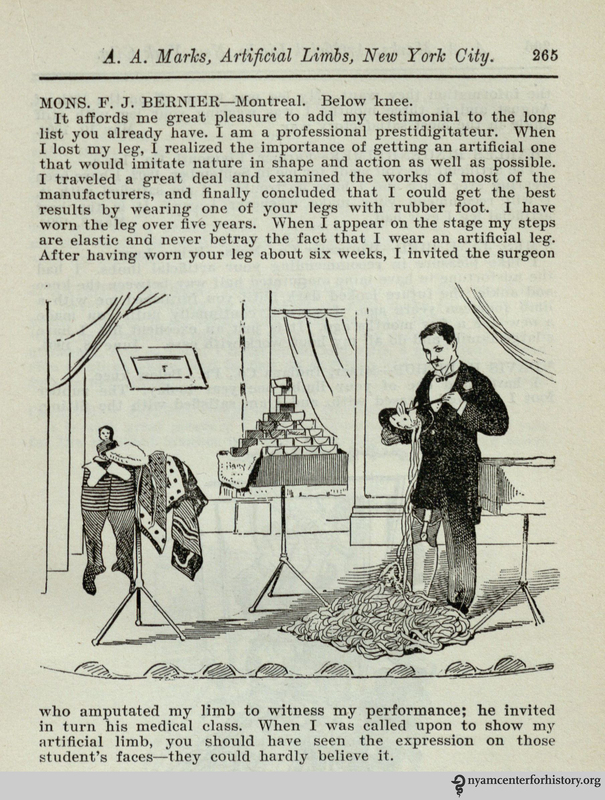 In Henry Heather Bigg, Artificial Limbs and Amputations, 1889, p. 122 and 123. Click to enlarge. The A. A. 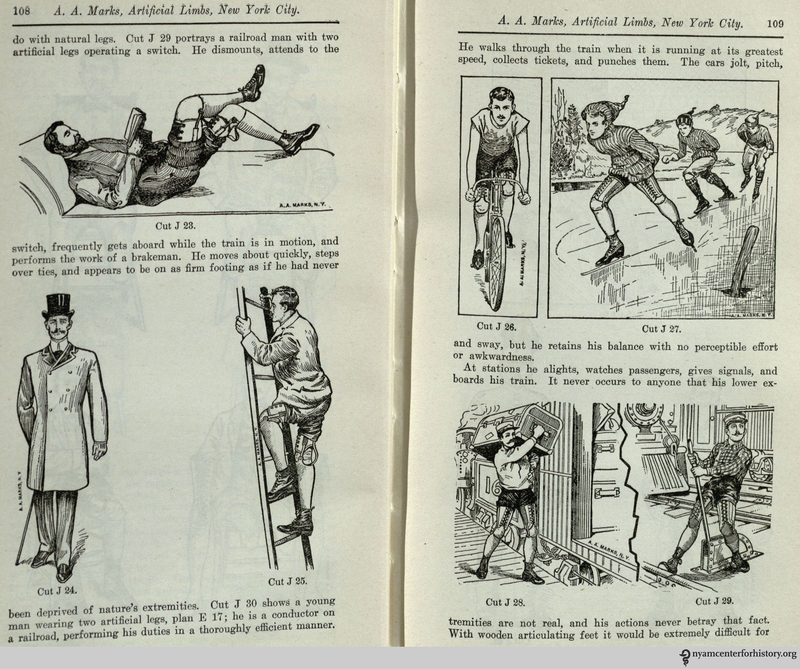 Marks Company of New York regularly released A Manual of Artificial Limbs—our library holds seven editions, published from 1906 to 1926. There are only slight variations in the volumes, most notably the mention of services for Great War veterans in the later editions. The manuals aim to convince customers of the value of the devices throughout a person’s daily tasks and career (even when performing a magic show). “It never occurs to anyone that his lower extremities are not real.” A. A. 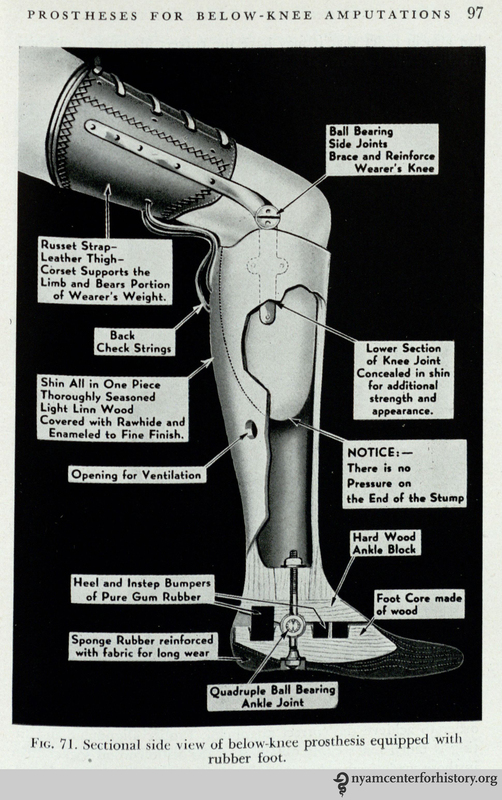 Marks Co., Manual of Artificial Limbs, 1906, p. 108-109. Click to enlarge. “I am a professional prestidigitateur.” A. A. 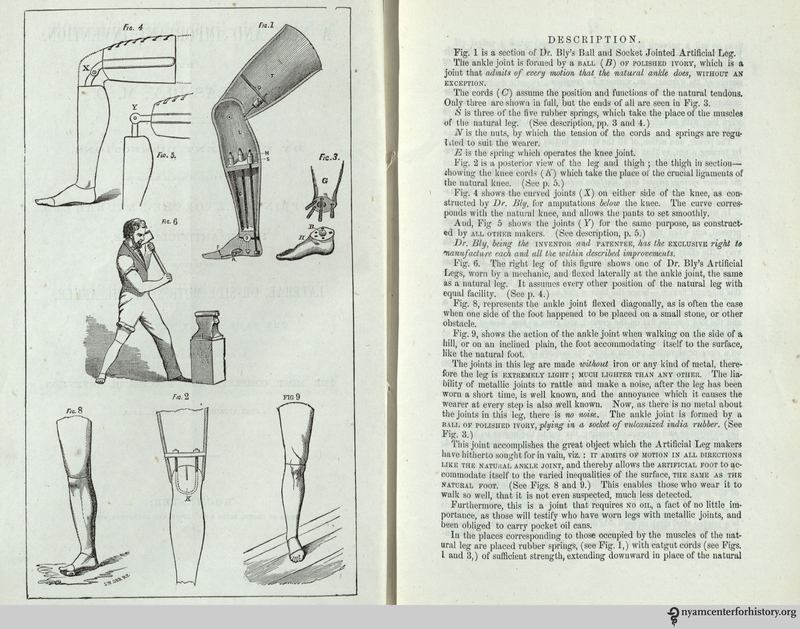 Marks Co., Manual of Artificial Limbs, 1906, p. 265. Click to enlarge. Atha Thomas, associate professor of orthopedic surgery at the University of Chicago School of Medicine, and Chester C. Haddan, president of the Association of Limb Manufacturers of America, co-wrote Amputation Prosthesis, published in 1945 and heavily influenced by both world wars. 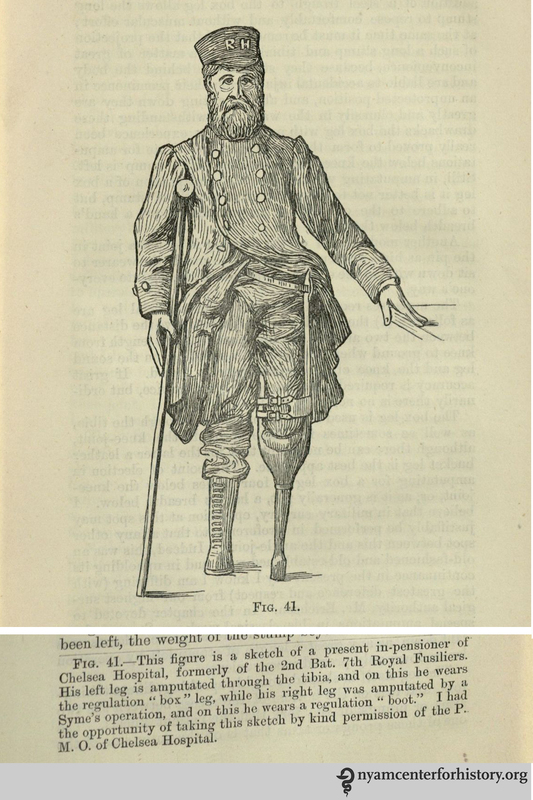 They conclude their first chapter: “Where amputations were once considered only as a life-saving measure they are now performed yearly by the hundreds in a deliberate attempt to substitute a useful prosthesis for a useless, unsightly, or hopelessly deformed extremity” (12). 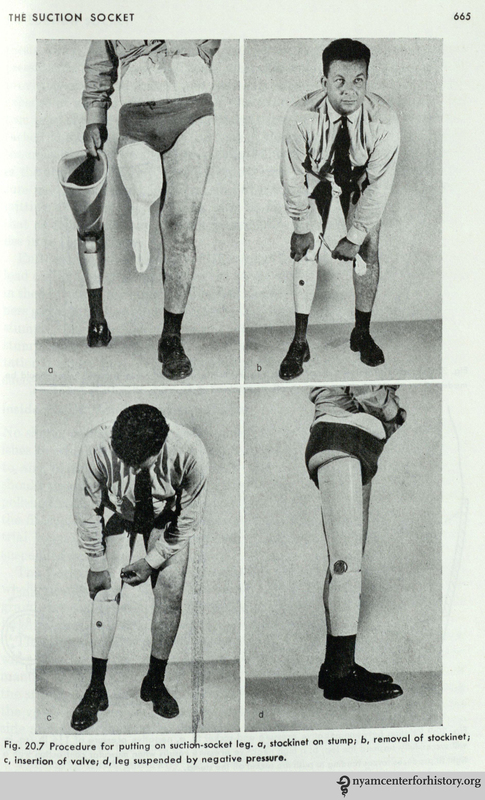 “Below-knee prosthesis equipped with rubber foot.” In Thomas & Haddan, Amputation Prosthesis, 1945, p. 97. “Great dexterity is possible also with this type of mechanical hand.” In Thomas & Haddan, Amputation Prosthesis, 1945, p. 212-213. Click to enlarge. In 1945 the U.S. National Research Council established the Committee on Prosthetic Devices, later called the Advisory Committee on Artificial Limbs. The Committee published Human Limbs and their Substitutes in 1954, describing such progress as the electric arm, new methods of knee stabilization, and advances in suction sockets. An electric arm. 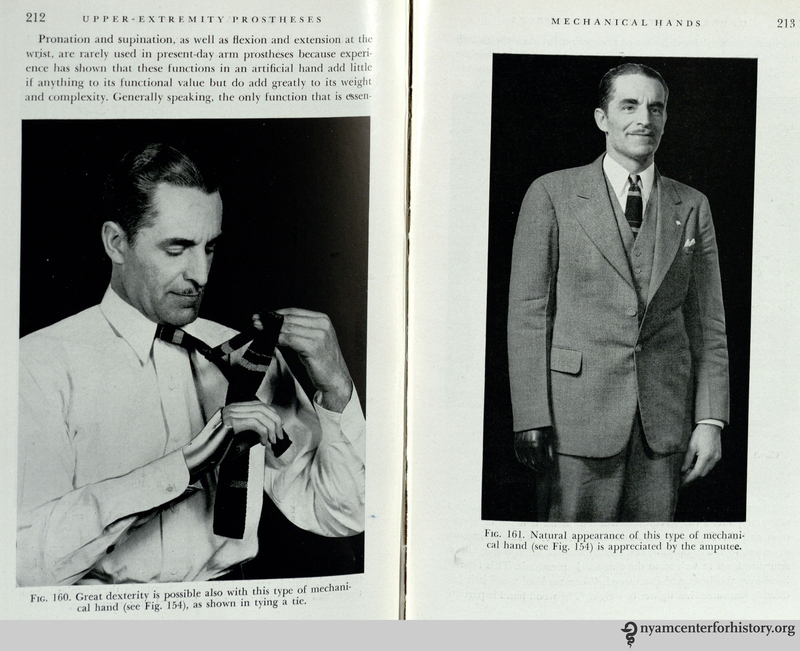 In National Research Council, Human Limbs and their Substitutes, 1954, p. 398. A suction socket leg. 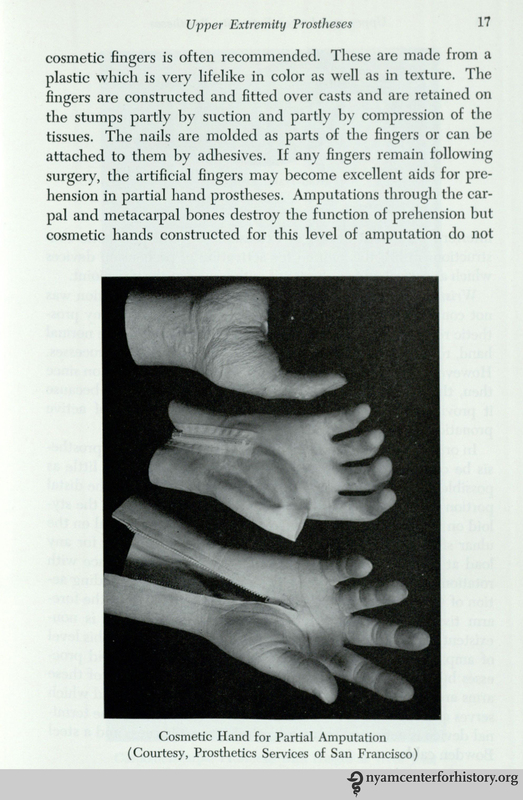 In National Research Council, Human Limbs and their Substitutes, 1954, p. 665. In Upper and Lower Limb Prostheses (1962), author William A. Tosberg includes a brief history of the materials used in prostheses: after WWII, plastics predominated. The post-WWII era also lead to professional certifications and education programs for prosthetists (no longer called “limbmakers,” as they are by Thomas and Haddan) and orthotists. Cosmetic hand for partial amputation. 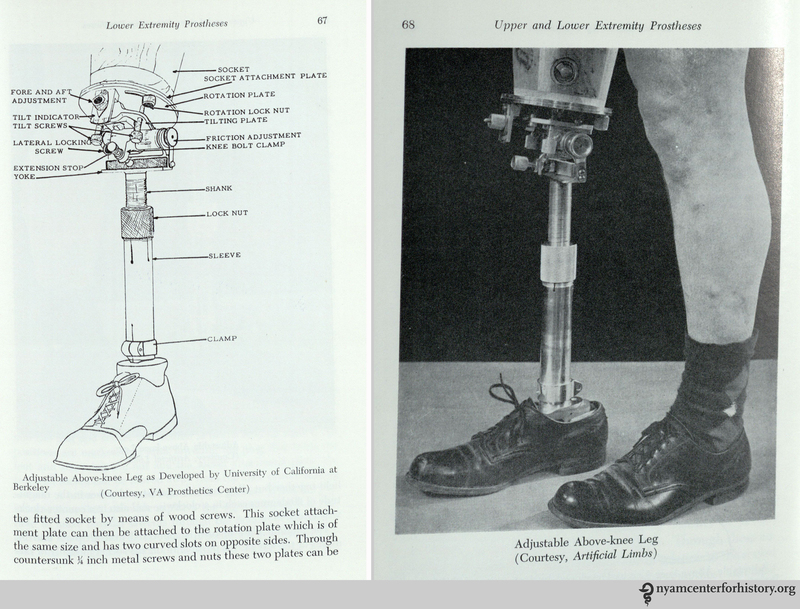 In William A. Tosberg, Upper and Lower Limb Prostheses, 1962, p. 17. Adjustable above-knee leg. In William A. Tosberg, Upper and Lower Limb Prostheses, 1962, p. 67-68. 1. Thurston AJ. 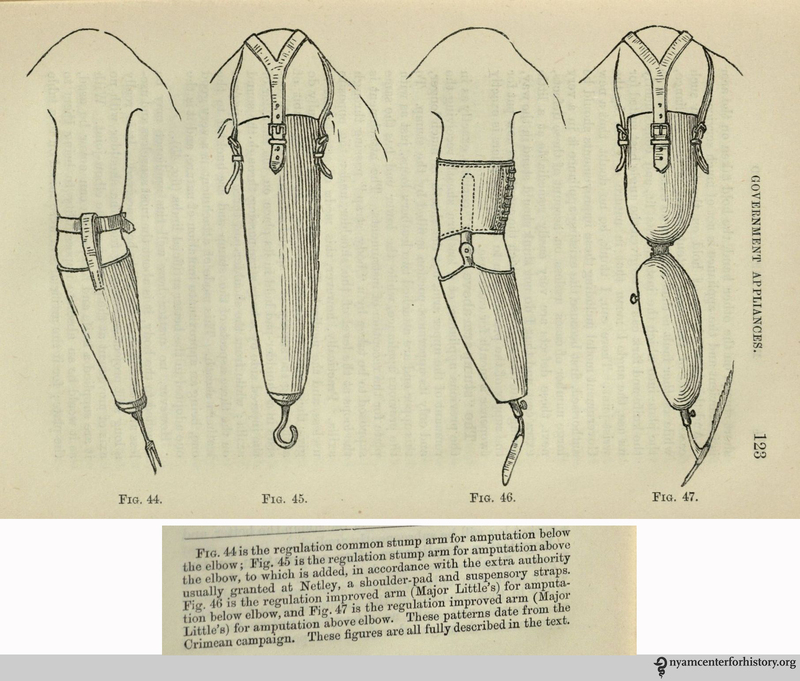 Paré and prosthetics: the early history of artificial limbs. ANZ J Surg. 2007;77(12):1114–9. doi:10.1111/j.1445-2197.2007.04330.x. 2. Dunn PM. 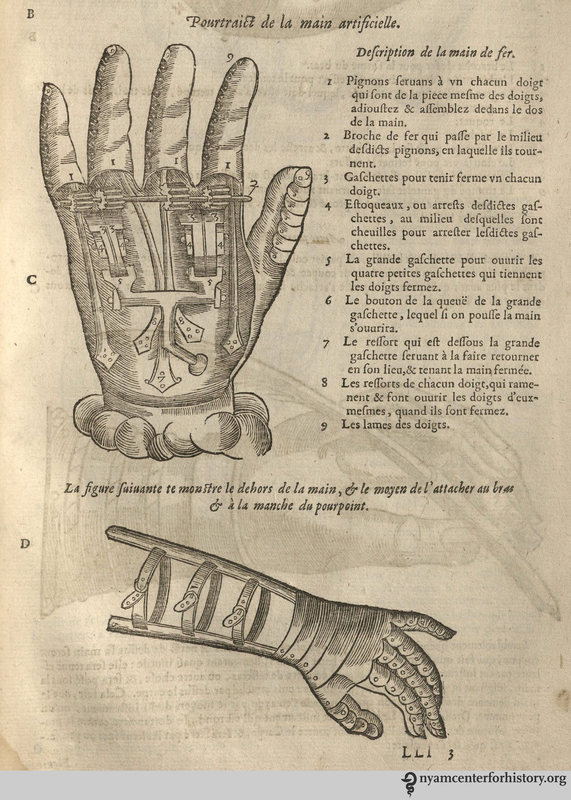 Ambroise Paré (1510-1590): surgeon and obstetrician of the Renaissance. Arch Dis Child Fetal Neonatal Ed. 1994;71(3):F231–2. Available at: http://www.pubmedcentral.nih.gov/articlerender.fcgi?artid=1061134&tool=pmcentrez&rendertype=abstract. Accessed December 4, 2014. 3. Sellegren KR. 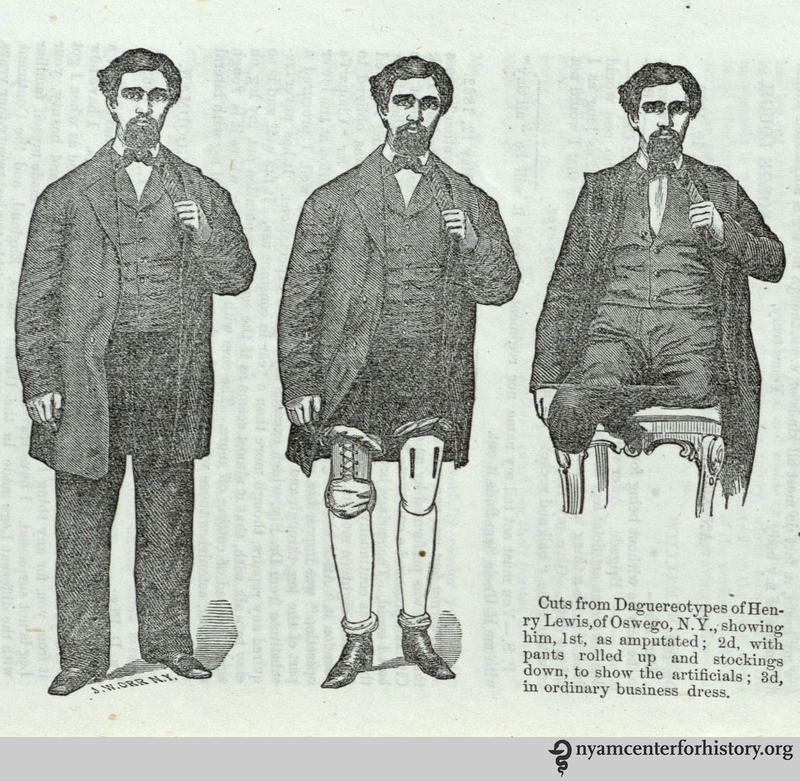 An Early History of Lower Limb Amputations and Prostheses. Iowa Orthop J. 1982;2:13. Available at: http://www.ncbi.nlm.nih.gov/pmc/articles/PMC2328816/. Accessed December 4, 2014. 4. Dr. Bly’s Artificial Leg. 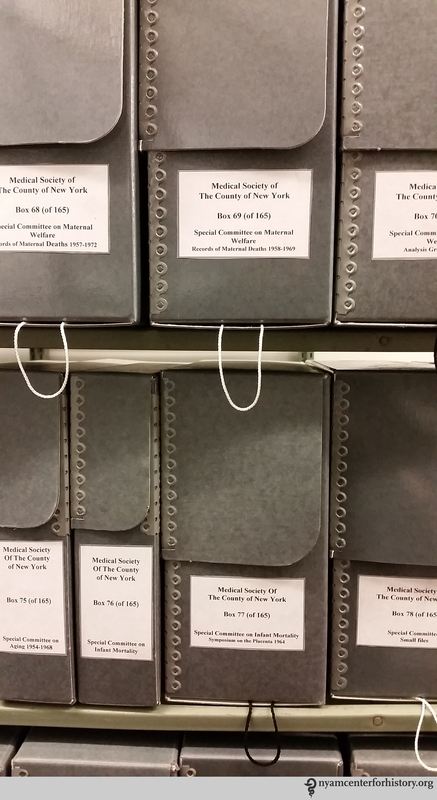 The Shelf: Preserving Harvard’s Library Collections. 2014. Available at: http://blogs.law.harvard.edu/preserving/2014/01/13/dr-blys-artificial-leg/. Accessed December 9, 2014. One hundred years ago today, Congress approved the Harrison Narcotics Tax Act. The Act’s passage critically impacted drug policy for the remainder of the century, and the habits of physicians with regard to prescribing and dispensing medicine. Dr. Hamilton Wright. In H. Wayne Morgan, Drugs in America. A Social History 1800-1980, p. 99. This groundswell in support of federal action among local medical professionals also had roots overseas. In the aftermath of the Spanish-American war, the U.S. inherited control of the Philippines, and with it a serious opium problem. An American missionary, Charles Henry Brent, convened a commission in 1903 that recommended narcotics be subject to international control.5 Roosevelt seized on these findings, recognizing an opportunity to improve relations with China. In 1908 he initiated an international conference in Shanghai to talk about the narcotics problem. 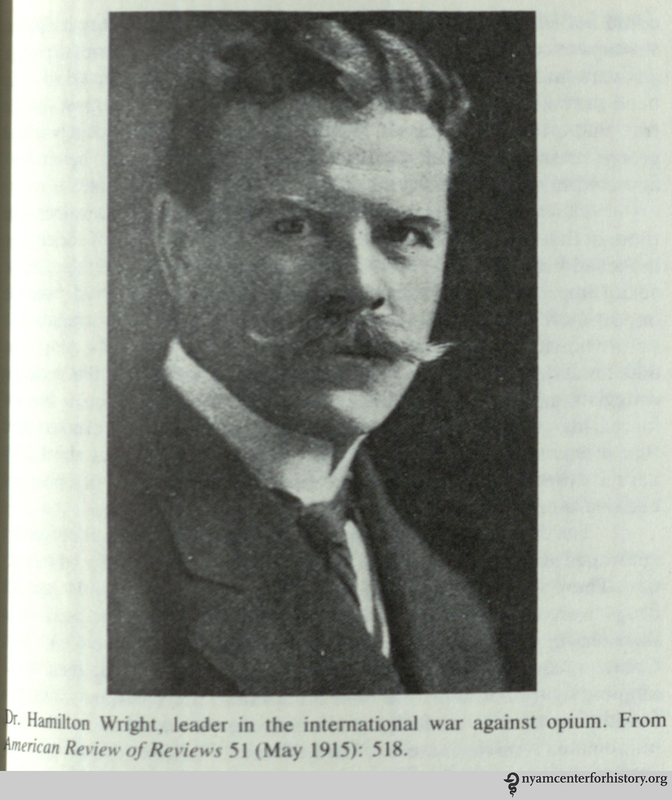 The President sent Brent and Hamilton Wright, U.S. Opium Commissioner, to represent the U.S.6 Wright, an outspoken, charismatic, and controversial figure, was central to the eventual passage of the Harrison Act. 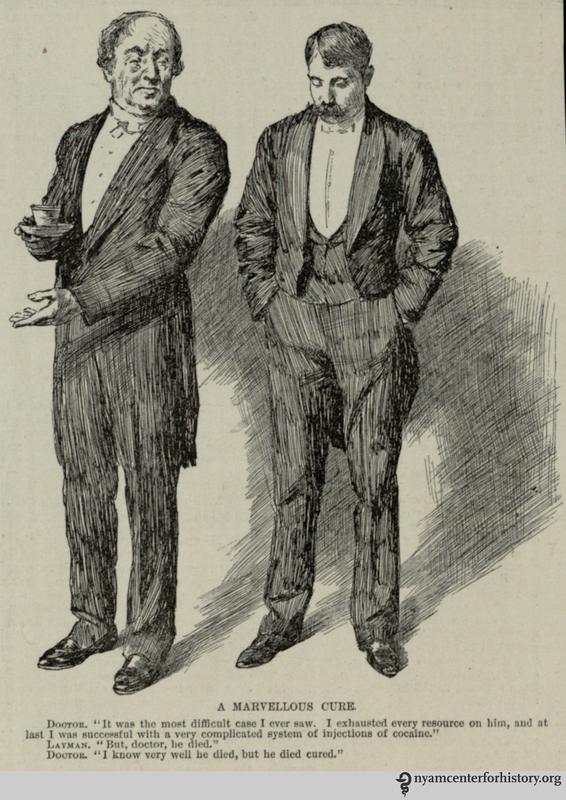 A clipping from the library’s Healy Collection, which contains 19th century images, mostly clipped from Frank Leslie’s Illustrated News and Harper’s Weekly. Click to enlarge. The immediate impact of the Act’s passage was confusion. The law offered only vague implementation guidelines. Was it largely a taxation measure, or was it intended to monitor and regulate professional activity? The Act’s major ambiguity related to the authority of physicians to prescribe maintenance doses of narcotics to already-addicted patients. Two 1919 Supreme Court cases clarified the issue. U.S. vs. Doremus found the Harrison Act constitutional and validated the government’s ability to regulate prescription practices for addicts. Webb et al. vs. U.S. denied physicians the power to provide maintenance doses. The effect of the legislation on addicts was not viewed unsympathetically by the medical establishment, or even by law enforcement. 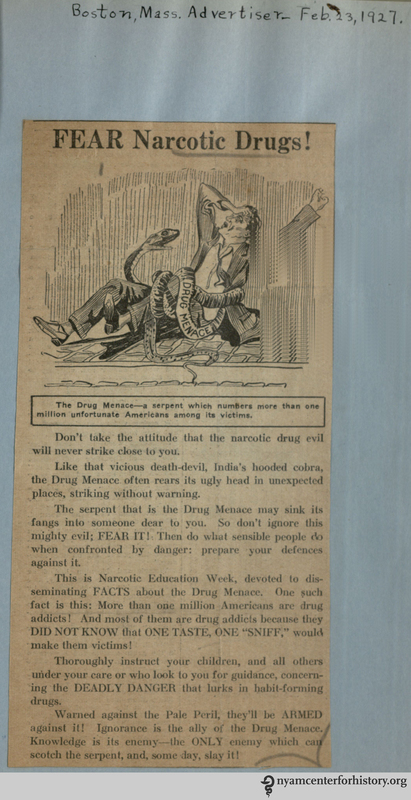 Even the head of New York’s dope squad, Lieutenant Scherb, seemed concerned: “Many of [the addicts] are doubled up in pain at this very minute and others are running to the police and hospitals to get relief….the suffering among them is really terrible.”11 Beginning in 1919, authorities and public health officials cooperated to develop 44 addiction recovery facilities. 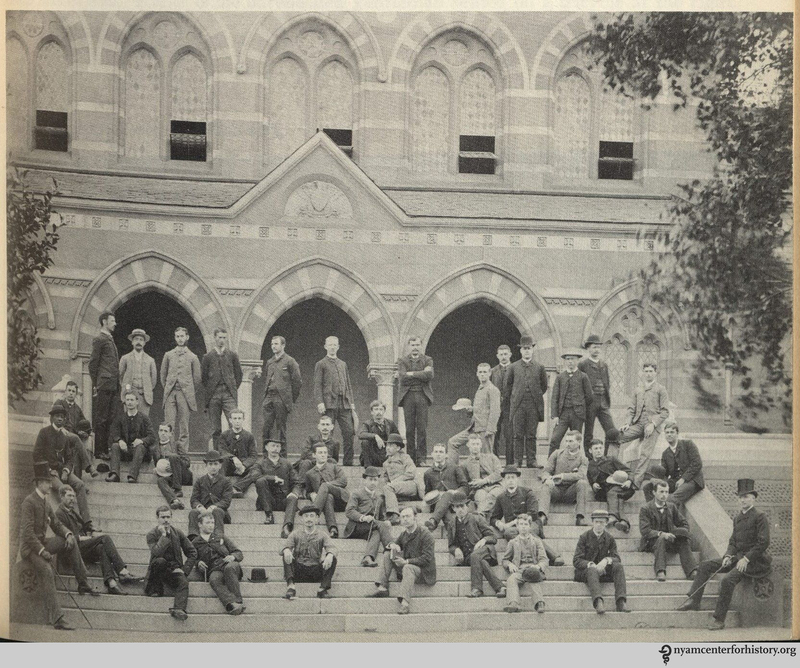 These new facilities were short-lived, and most had closed by 1921. Unpopular with the public, many shut down because the lion’s share of patients found themselves back on the streets again. From the library’s scrapbook of 1926-1927 newspaper clippings. Click to enlarge. The Harrison Act’s most lasting impact was in how it shifted the public conversation from a discussion about regulating a legal activity to eliminating an illegal one. The Act would form the cornerstone of all drug legislation to come, including the Controlled Substance Act of 1970. 1. Musto, David F. The American Disease Origins of Narcotic Control. New York: Oxford, 1999. Pp. 3-8. 2. 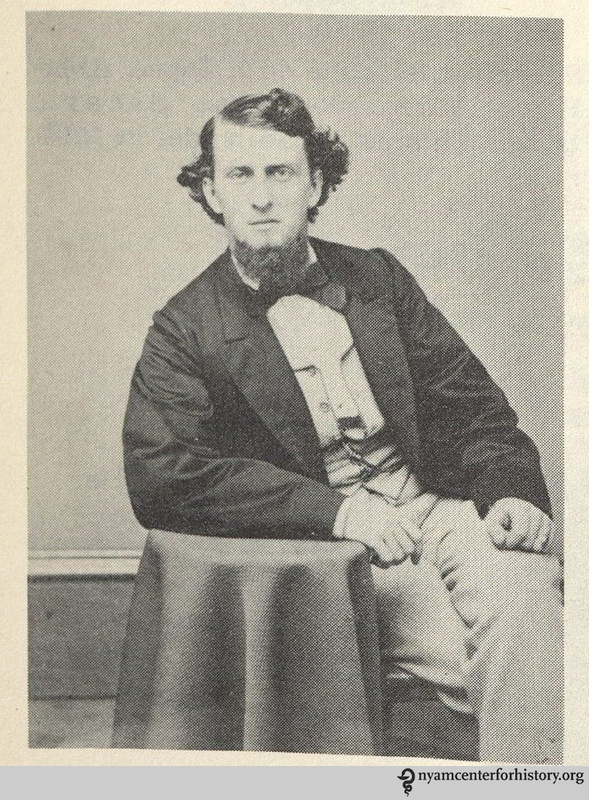 Morgan, H. Wayne. Drugs in America. A Social History 1800-1980. Pp. 101-102. 5. Courtwright, David T. Dark Paradise Opiate Addiction in America before 1940. Cambridge: Harvard, 1982. 8. Morgan, 106-108 and Musto, 59-61. 9. Hodgson, Barbara. In the Arms of Morpheus. 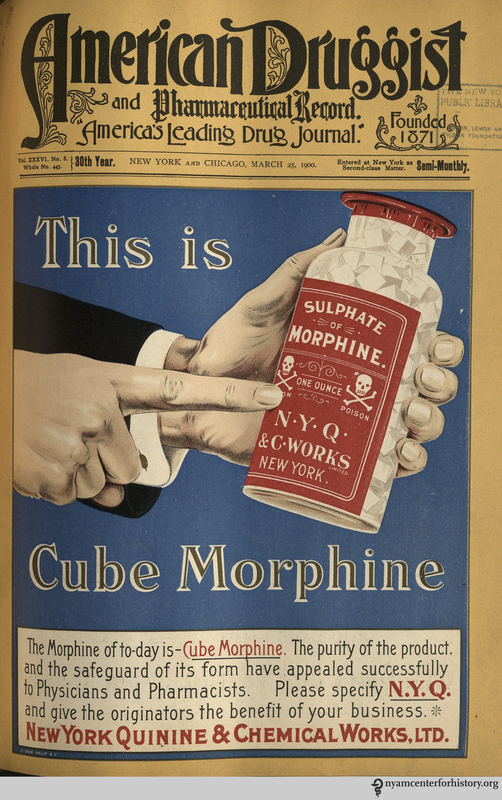 The Tragic History of Laudanum, Morphine, and Patent Medicines. Buffalo: Firefly, 2001. P. 128. 10. Erlin and Spillane, pp. 44-45. 11. The New York Times, April 15, 1915. 12. [Narcotics]. Clippings from newspapers from Dec. 1926-Sept. 1932. [New York?, 1926-1932]. 3 v. Email history@nyam.org to request.